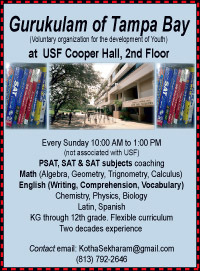 Keeping with the Sanatan Dharma, Prana Pratishtha Mahotsav takes place April 9-13 during the new Sanatan Mandir (311 E. Palm Ave., Tampa) grand opening. Radha-Krishna, Jagannath Chaturdha, Laxmi-Narayan, Ram Parivar, Shiva-Parvati, Shree Ganesh, Mata Vaishno Devi, Modheshwari Mata, Guru Dattatreya, Jalaram Bapa, Sai Baba, and the Navagrahas are among the deities to be consecrated. The process of “Prana Pratishtha” is a direct infusion of cosmic life-energy into murtis. This is done by invoking deific energy through sacred chants, Puranic rituals and scripturally-enriched rites, thereby inviting the divine power to enter into the murtis. Once Prana Pratishtha is complete, the murti is transformed into an embodiment of a living God and the deities become a bundle of spiritual energy and are exposed for public veneration. The consecrated murti is looked upon as a Supreme Being and not as a statue. Over a period of time, faith and surrender with which collective crowd of devotees visit the temple makes the murti infused with celestial energy. A pertinent question of human mind is: “How can a mantra evoke the divine energy into a murti?” Simplistically, we can say that when the priest invokes the Almighty in one of his forms and solicits Him to become present in the “murti,” he ritualistically attunes himself on the exact energy wavelength of the divinity, receives the supreme vibrations and infuses them in the murti. He last performed in Orlando in September 2015. 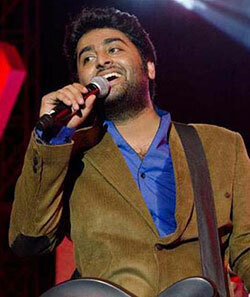 And now the popular Bollywood playback singer is returning to take the stage again, on April 27 at the CFE Arena. More than a decade ago, Singh lost in the finals of “Fame Gurukul.” But he made a comeback with another reality show “10 Ke 10 Le Gaye Dil.” In 2013, he won the Best Male Playback Singer at the 59th Filmfare Awards for ‘Tum Hi Ho’ from the film “Aashiqui 2.” Since then, the talented crooner hasn’t looked back. Among Singh’s major hits are ‘Muskurane’ from “CityLights,” ‘Mast Magan’ from “2 States,” “Kabira” and “Ilahi” from “Yeh Jawaani Hai Deewani,” ‘Tose Naina” from “Mickey Virus,” ‘Gerua’ from “Dillagi,” ‘Channa Mereya’ from “Ae Dil Hai Mushkil,” ‘Zaalima’ from “Raees,” ‘Naina’ from “Dangal,” ‘Ae Watan’ from “Raazi,” ‘Woh Ladki’ from “Andhadhun,” ‘Binte Dil’ from “Padmaavat,” among several others. Presented by Krish Patel, the 8 p.m. concert will be at CFE Arena, 12777 Gemini Blvd. N., Orlando. Tickets starting at $69 can be purchased at www.bollywoodeventsfl.com; for sponsorship and other information, call Patel at (407) 454-3334. Floridians, if you are looking to catch up with the genius of Zakir Hussain this year, here’s your only chance. The tabla maestro is returning to the Sunshine State with his Masters of Percussion series, a concert in the Bonita Springs/Fort Myers area on April 12. It is presented by RAAGA, a nonprofit arts and education organization dedicated to the preservation and promotion of music, dance and performing art forms from the Indian subcontinent. Playing in the footsteps of his illustrious father, Ustad Allarakha, Hussain has acted as a musical bridge between his birth land and the rest of the world. 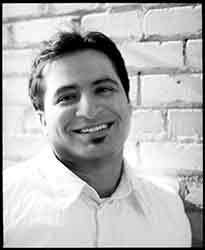 To that end, every other year since 1996, he has served as curator, producer and host in bringing the very cream of Indian music to his America and European tours with the Masters of Percussion. 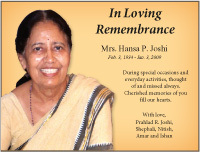 It has grown out of the maestro’s duet tours with Ustad Allarakha. They began their biennial appearances in 1996 to provide a platform for rarely heard rhythm traditions from India. Over time, the ensemble has expanded to include great drummers and percussionists from many world traditions. In 2019, he will be joined by the amazing Niladri Kumar on sitar, Eric Harland (Charles Lloyd, Sangam) on Western drums, and the Kerala Drummers from the Southwestern coast of India. 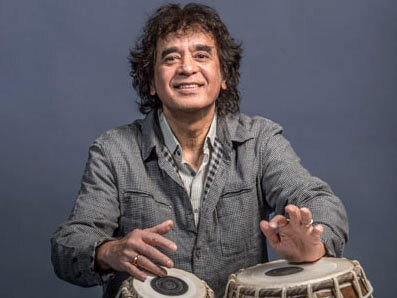 Ustad Zakir Hussain & Masters of Percussion will take the stage at the Southwest Florida Event Center, 11515 Bonita Beach Road S.E., Bonita Springs, at 7:30 p.m. Tickets starting at $50 can be purchased at raagafl.org For more information, call (262) 366-9369. 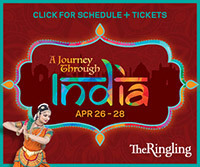 The Ringling will present “A Journey Through India,” a three-day festival exploring the many cultures of India. Created in collaboration with local community partners, the festival will celebrate the performing and visual arts, literature, flavors and thought of historical and contemporary India. Friday, April 26, the festival will kick off with a Bollywood dance party in the Museum of Art Courtyard. DJ Pram brings his high-energy style to teach dance moves. Local Indian fare and beverages will be available for purchase and a special dance performance by Bollywood choreographer Rajat “Rocky” Batta. 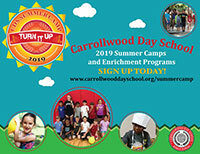 Saturday, April 27, look forward to a day-long program of cultural exploration, including a series of lectures from scholars speaking on various aspects of Indian culture; music and dance performances by community groups; art-making and other activities for families; and a market featuring local food and artisan vendors. 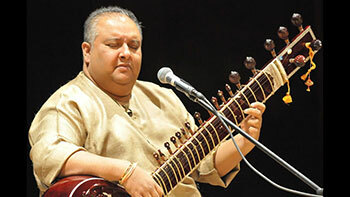 Sitar maestro Shujaat Khan will perform along with Shankh Lahiri and Dibyarka Chatterjee on tabla. Various speakers are scheduled. New Delhi-born master chef Suvir Saran’s American Masala style celebrates the best of Indian and American cooking. Sucheta Kanjilal will present “A Journey through Indian Literary/History,” an overview of events in modern history, politics and literature using stories form the Sanskrit epic, the Mahabharata. Prof. Jeffrey D. Long presents “May Brahman Be with You: Star Wars and Vedanta,” exploring the many Hindu themes present in Star Wars universe. Long is professor of religion and Asian Studies at Elizabethtown College, Pa. Speaker time and date have yet to be determined. On the final day, the festival culminates with a free, celebratory morning Hatha yoga event on Ca’ d’Zan terrace taught by an Isha Foundation yogi. 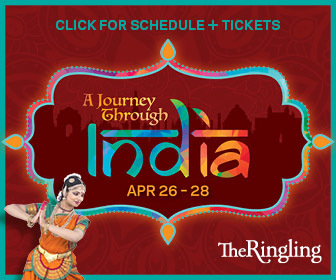 Building on the excitement of the festival, The Ringling will present The Fabric of India. This exhibition of Indian textiles from the Victoria & Albert Museum, on view July 7-Oct. 13, 2019, showcases over 200 superb examples of historical dress, carefully preserved fabrics and cutting-edge fashion. Fabric of India illustrates the variety, technical sophistication and adaptability of Indian textiles from the third to the 21st century, revealing how textiles have been interwoven with religion, politics and global trade for centuries in India. The Ringling at 5401 Bay Shore Road is a center for art and history, situated on 66 magnificent acres on the shores of Sarasota Bay. It is built on the remarkable legacy of circus entrepreneur, collector of art and financier John Ringling and his wife Mable.